FEECO International will be exhibiting at the 2018 SME Annual Conference & Expo in Minneapolis, Minnesota from February 25-28th. The conference unites over 6,000 industry professionals from around the globe on a variety of mining related topics, from innovation and best practices, to cutting-edge research and more. With over 120 technical sessions and 550 exhibiting companies, attendees will have access to a multitude of opportunities in learning, tools, and networking. 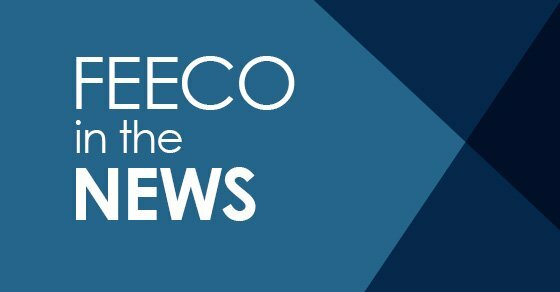 Chris Kozicki, Process Sales Engineer, and Tim Matzke, Material Handling Sales, will be representing FEECO at booth #2540. Agglomeration: agglomeration drums, granulation drums, disc pelletizers, pug mills / paddle mixers, and pin mixers. Thermal Processing: rotary dryers, rotary coolers, and rotary kilns. Material Handling: belt conveyors, bucket elevators, belt feeders, belt trippers and plows. In addition to custom manufactured equipment, FEECO also offers material testing in our renowned Innovation Center. Here, our team of process experts offer agglomeration and thermal material testing options, at both batch and pilot scale, to help customers determine the feasibility of a new product, optimize an existing product or process, or gain critical data on their material. From dolomite and limestone, to gypsum and phosphorus, our material experience in the Innovation Center is unparalleled. FEECO hopes to meet you in person at the SME conference, to share our storied experience and capabilities in the mining and mineral processing industries. Until then, we look forward to seeing you at the 2018 SME Annual Conference & Expo.